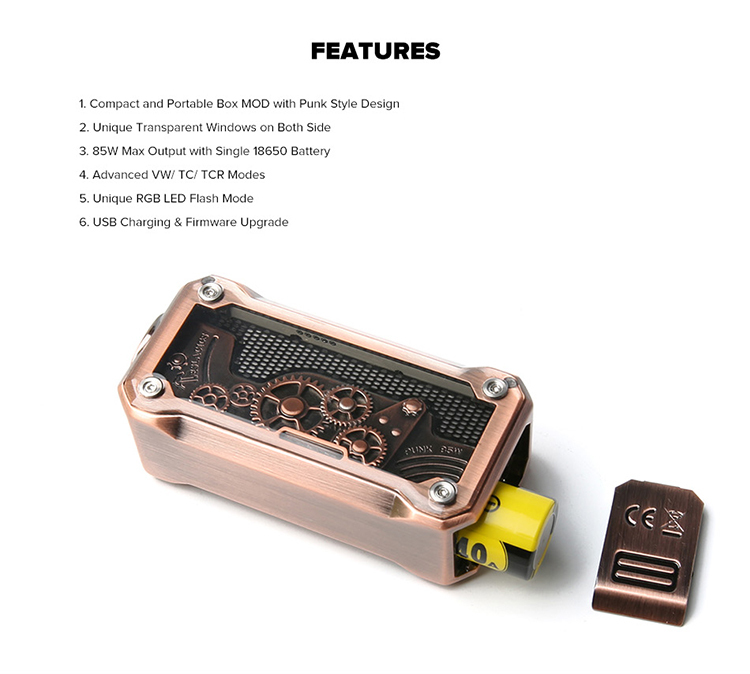 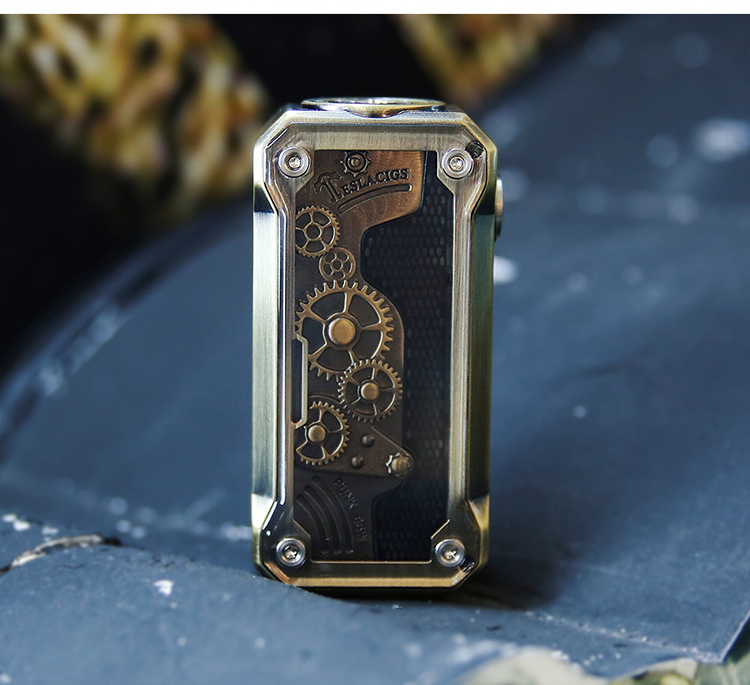 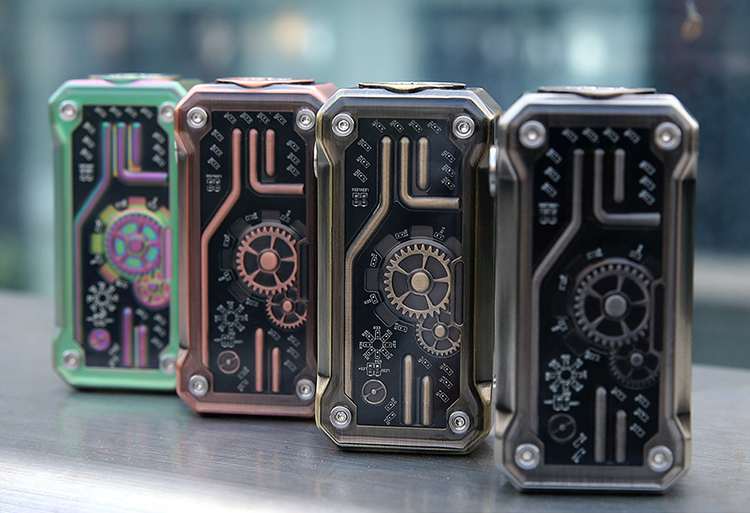 The Tesla Punk 85W MOD is a new cool and portable single 18650 Box MOD inheriting from Tesla Punk family with punk style design and transparent windows on both side of the device. 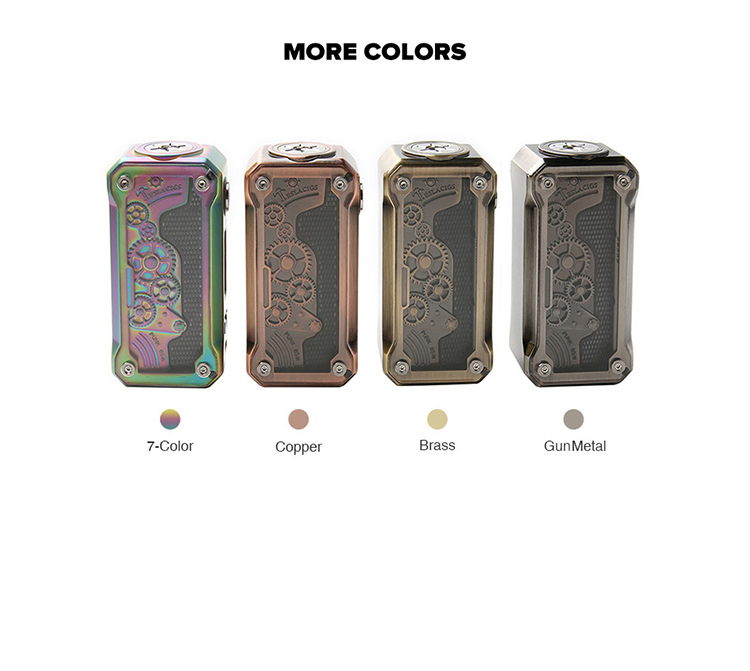 Powered by single 18650 battery, the Tesla Punk MOD fires up to 85W max output with advanced VW/ TC/ TCR modes to meet your different vaping needs. 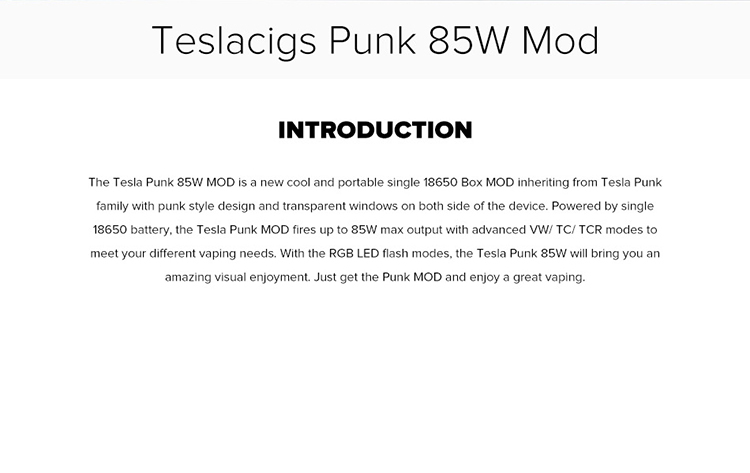 With the RGB LED flash modes, the Tesla Punk 85W will bring you an amazing visual enjoyment. 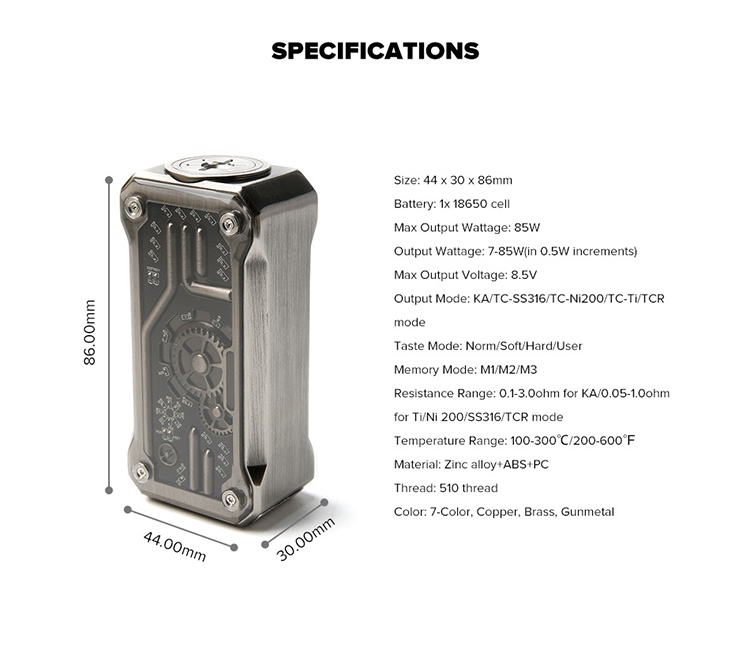 Just get the Punk MOD and enjoy a great vaping. 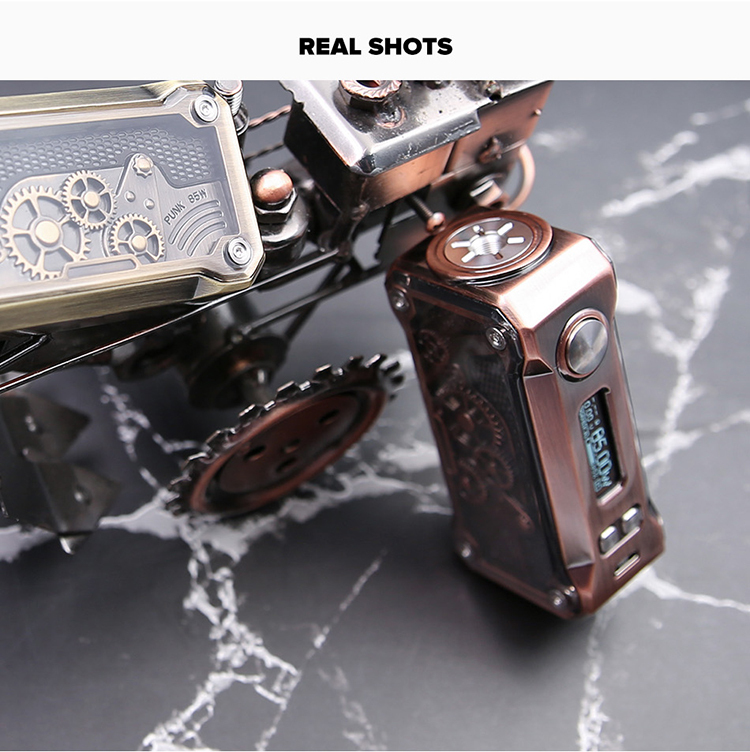 It looks like a machinery, so cool.